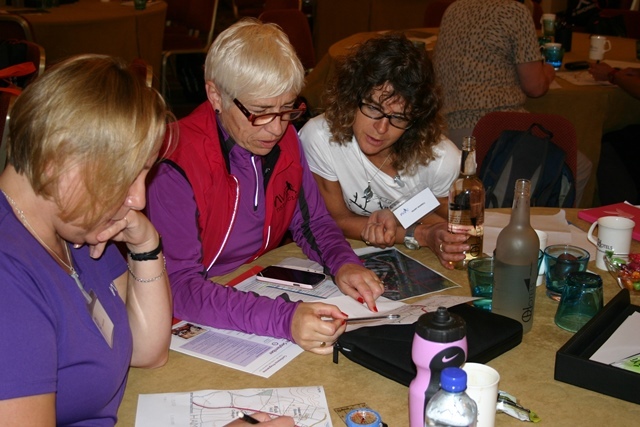 Mountain Run were asked by Nordic Walking UK to provide some courses for their Instructors, to give them a better understanding of map & compass navigation, as a base & back up to navigation by GPS and other devices. Mountain Run were asked to supply Nordic Walking UK with some navigation courses tailored to their instructors for personal development & give them confidence to use navigation & route planning skills to make their walks more interesting for their clients, allowing more variety to the same old walks week in, week out. Variety is after all the spice of life! With a conference due in September we agreed to head down to the event & offer some very basic workshops to give people a taster of what is to come & give them an understanding of the course they would be booking on. Nordic Walking is a different exercise regime for sure. The idea behind it all is to increase the heart rate & overall work load, without stressing the body & without needing to exert yourself that much more. By using poles you end up using almost 95% of your muscle structure. The upper body gets a work out at the same time as the legs do, the core works hard to stabilise the motion of the shoulders driving the arms, against the hips controlling & driving the legs. Just using poles for steadying yourself whilst out walking, remove 30% of the stress from your legs to your upper body thereby saving ankle and knee pounding. 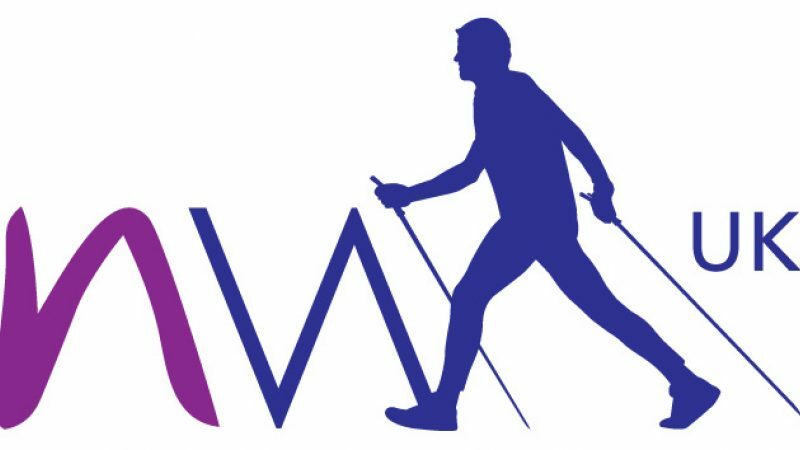 Nordic Walking poles are not used to steady yourself though, they are used to give forward motion, to give you more propulsion & increase your exercise levels. The poles must make contact behind the back foot, always & the drive must come from the shoulder, not the elbow. Its a technique that has been developed from XC Skiing. There are similarities, but there are differences at the same time, but anyone doing for a Nordic Ski background will understand pole use. Anybody who wants to use it in their training regime would benefit, people who are coming back from injury to fitness might find it helpful & people who find themselves unfit for what ever reason can benefit from the gentle, yet highly aerobic ** exercise regime. I used poles some years ago when they first arrived in the country, around 2004, to compete in Mountain Marathon events. I also used them for some of my training & found my fitness levels increase very quickly. Although it was harder navigating with 2 poles in your hands, the benefit was that me and my partner won the B Class in the LAMM in 2006 using poles. I also used poles the year before for the LAMM & KIMM. 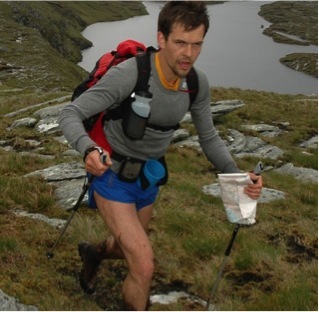 Running to victory on Day 1 of the 2006 LAMM in Assynt (B Class). Poles are used quite extensively in Europe, especially for mountain or ultra races. In the UK you see some folk with poles in the lower classes of Mountain Marathons, but generally you don't see pole use, other than by older generation folk who might use one pole for steadying or to take the weight off an knee. In the UK Ultra Running Scene, pole use is becoming more popular. People has seen the merits, want the support & are prepared to carry them when they don't want to use them for running. Mountain King produce one of the most popular poles, being the Trail Blaze. Ultralight weight & easily foldable. You rarely see folk with Nordic Walking poles, although I have seen them. What I do notice is not many people use their poles to great effect. They use them to steady not to propel. Nordic Walking give propulsion & it gives an understanding of how to propel using the pole. The difference between NW style & Trekking style is you use the pole at a 45 degree angle & plant behind the back foot. Trekking style is using the poles in front of the feet. There is obviously more to it, but this is the main difference. I'm really interested in teaching pole use for running & the difference between using the poles for NW & Trail Running is quite great, but from understanding the walking style 1st, makes using the poles whislt running much easier & easier to coordinate. The week before the conference I attended a NW Course, ready for an assessment soon to become a NW Instructor. 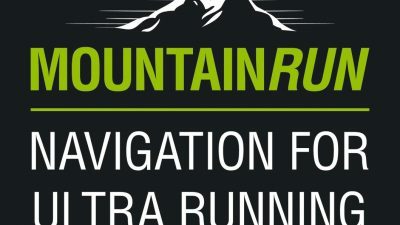 This is for 2 reasons; 1) to understand the up to date pole usage, so when teaching NW Instructors navigation I can understand what they are doing & make the navigation tailored to them and 2) To gain the relevant qualification in order to give people confidence who want to learn Trail Running with poles that I am trained in the correct usage. Its another string to the bow after all. I'll be taking my assessment soon. 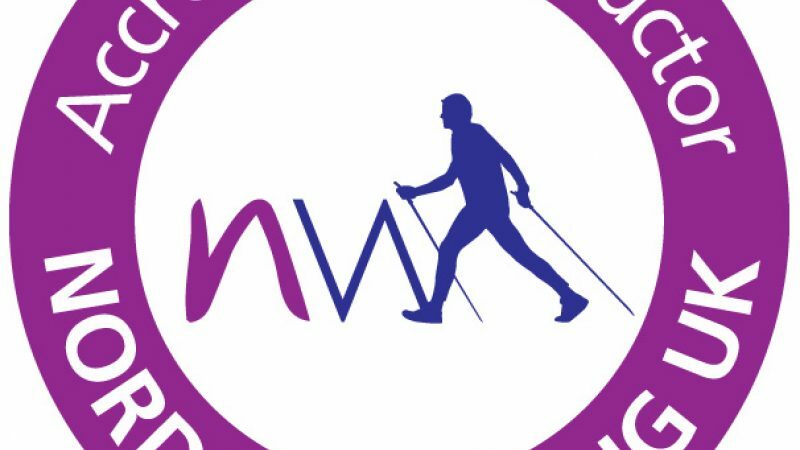 Nordic Walking UK have also requested that I put on some courses for Trail Running Skills for their instructors, with the possibility of developing training modules with them for running with poles. I have already incorporated a NW session with a client who wanted to work on posture for Natural Running & one of the most important things here is being in a good postural alignment. Nordic Walking teaches & promotes this idea. If you're interested in Nordic Walking or Trail Running with poles, drop me an email at enquiries@mountainrun.co.uk for more information. 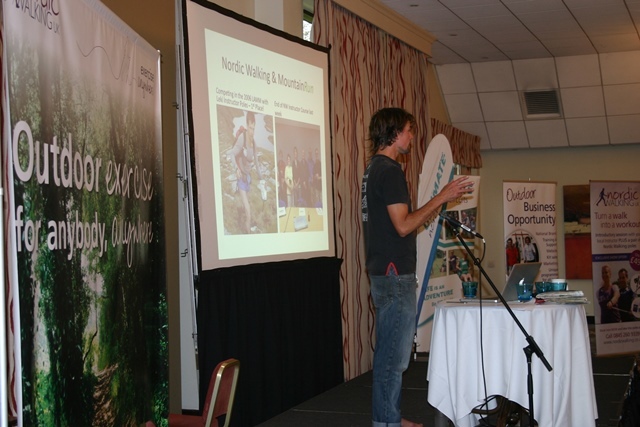 The conference was a great success, each workshop was pretty full, they proved to be very popular. I was booked to hold 2 workshops, but we had to put another one on, to accommodate for the healthy interest. We covered the very basic skills of understanding maps, features, contours. We then looked at a compass, all its features & learnt how to set a map. From setting the map we looked at the basics of setting a bearing. 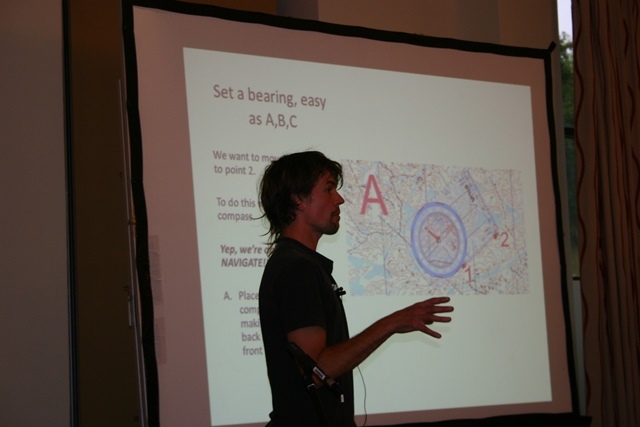 The are the raw basics of compass & map skills, but completely essential to good navigation. I also met a lot of great folk, who were super inspired by what they did. Its really great to be around people who are enthusiastic, it doesn't often matter what their enthusiasm is about, it just becomes infectious. It happen I met a guy who held the World Record back in 1998 (?) for the longest time spent on Roller Skis over consecutive days. Some folk who were getting involved with a mini mountain marathon series which is well known on the race circuit. Leki & X-Bionic Under-gear were there, showing off their new kit. The new Ultralight Leki Carbon Speed Stick looks & feels amazing, watch this space for further news on those! So all in all, it was a pretty good weekend, hosted by Mike Rollason & Gill Stewart, who are basically Nordic Walking UK, alongside Martin Curry who is the top man down in London on Hampstead Heath. Look out for more information coming on Nordic Walking & Trail Running with Poles soon. ** Remember this depends on how much effort you put in!